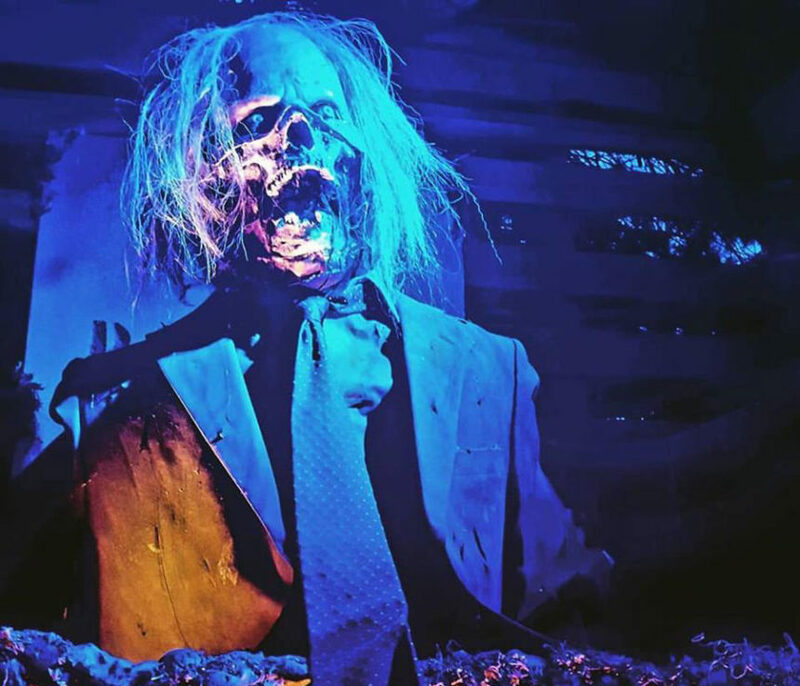 IDAHO FALLS – When Dr. Slaughter’s House of Terror closed their doors in April, brothers Brent and Brian Wilson immediately went to work to open a haunted house of their own in the same location. Renovations on the 32,000 square foot building are currently underway. Planet Doom will be opening September 28 at 680 First Street in Idaho Falls. Co-owner Brent Wilson tells EastIdahoNews.com he is a haunted house aficionado who has a passion for the art of horror. He and his brother grew up in Florida making haunted houses at their home. Brian relocated to Idaho Falls in 2015 to join his brother at Thornton Oliver Keller Commercial Real Estate. For Halloween, they turned Brent’s home into a haunted house and picked up some notoriety in the process. The Canadian Haunters Association voted their home haunt the “Best International Haunt.” They also earned the “Best Walkthrough Haunt” distinction by Halloween Yard Haunts and Props. 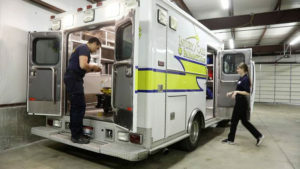 “We are excited to open at this location. The response from the community has been amazing. We’ve had many people, including the pizza delivery boy ask us how they can help,” says Brent Wilson. Even though they’re opening in the old Dr. Slaughter’s location, Wilson says Planet Doom will have a unique style that fans of Dr. Slaughter’s have probably never seen before. 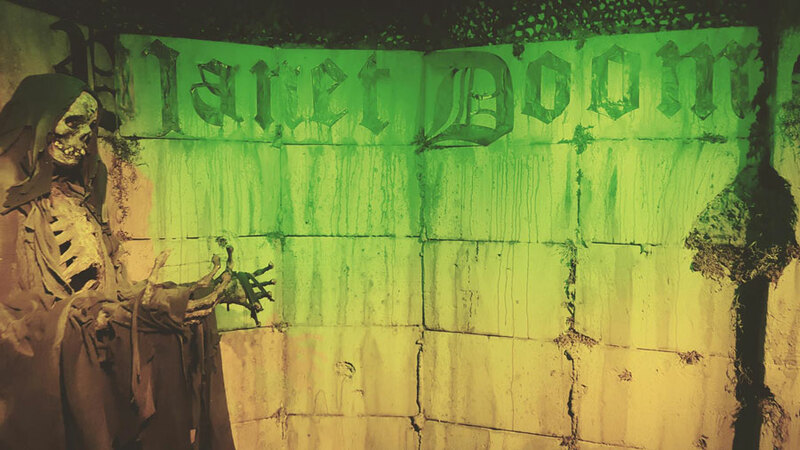 “Planet Doom features ‘state of the art’ professional pneumatic and animatronic props, scenery, lighting and projection effects,” according to their website. Planet Doom, like Dr. Slaughter’s before them, is partnering with the Bonneville County DARE program. All the proceeds will benefit this organization. 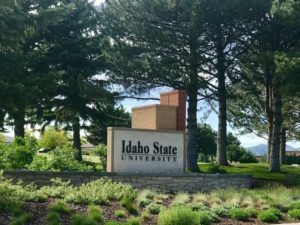 Last week the Idaho Falls Police Department announced it was suspending its involvement with the DARE program due to a shortage of officers. 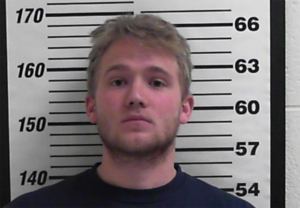 However, Lovell said the program is still intact and running in Bonneville County. The price of admission at Planet Doom will be $11 or $15 for the Fast Pass, which allows people to bypass the line and get in immediately. 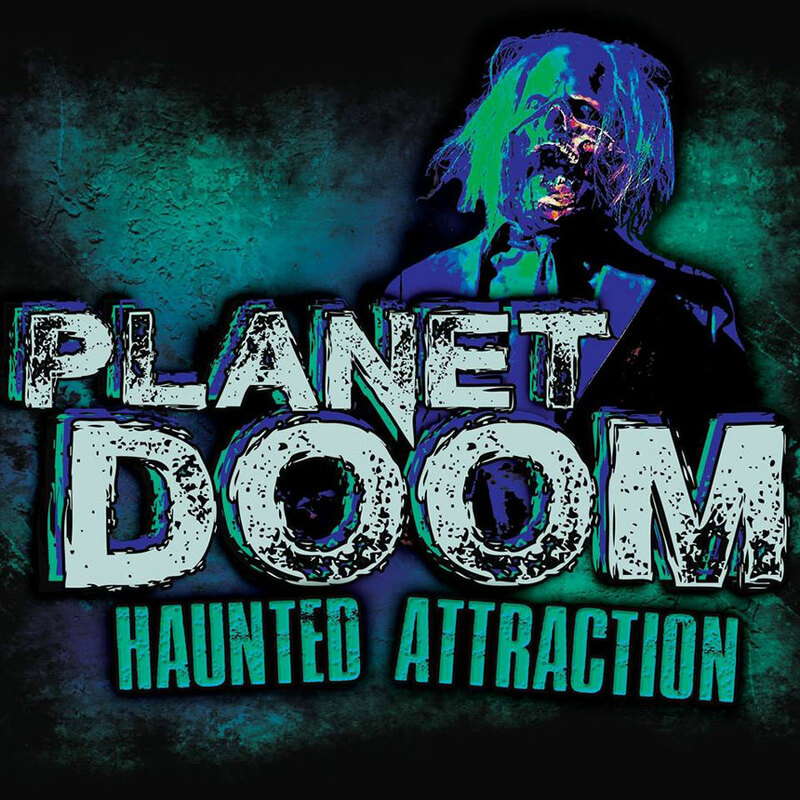 Beginning in September, Planet Doom will be open Fridays and Saturdays 7 p.m. to 11 p.m. Throughout October, they will also be open on Thursdays until 10 p.m. They will be open every night the week of Halloween. To learn more, visit their website or Facebook page. “Keep an open mind and prepare to be blown away,” Wilson says.